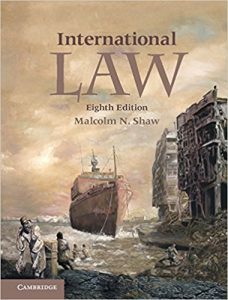 International Law is the definitive and authoritative text on the subject, offering Shaw’s unbeatable combination of clarity of expression and academic rigour and ensuring both understanding and critical analysis in an engaging and authoritative style. Encompassing the leading principles, practice and cases, and retaining and developing the detailed references which encourage and assist the reader in further study, this new edition motivates and challenges students and professionals while remaining accessible and engaging. Fully updated to reflect recent case law and treaty developments, this edition contains an expanded treatment of the relationship between international and domestic law, the principles of international humanitarian law, and international criminal law alongside additional material on international economic law.